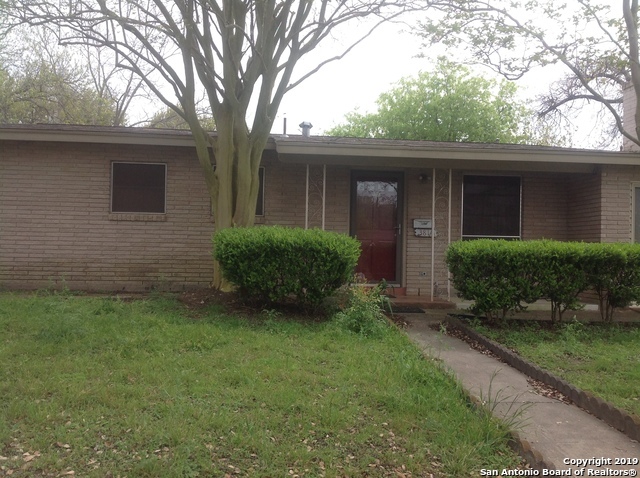 All FAIRLAWN homes currently listed for sale in San Antonio as of 04/26/2019 are shown below. You can change the search criteria at any time by pressing the 'Change Search' button below. "This most unique property offers numerous opportunities. In the original home, two bedrooms were converted into one super bedroom with sitting area. The garage was converted very nicely and a fireplace was added. A very private, yet connected, living quarters is available on the back of the original home. Extra living space has been created that takes the original home of 1512 sq. ft up to 2447 per the appraiser's sketch. Given the location so close to I 37, City Base, etc. possibilities abo"
"***Lots of potential at a great location in town. This home features 3 bedrooms and 2 full baths with attached 1-car garage and plenty of yard to live and play in. Home offers two living areas and nice size family room. Its location provides easy access to all amenities and schools. Vacant and ready for new owner." "Great price for a home that needs a little TLC. Ideal for someone who wants to move in, make it their own, and have tons of equity. Big backyard and great location. For investors looking for cash flow rents are between $1050-$1200 so looking at a 10%-11% ROI or cap rate. ARV is around $125k-130k. Call now for a good investment."